Albert represented the receivers appointed by the High Court of Justice of England and Wales to recover assets diverted from BTA Bank by its former Chairman and Chief Executive Officer, Mukhtar Ablyazov, against whom the English court to date has issued judgments totaling more than $4.7 billion. The English receivers and the bank allege that, among many other fraudulent transfers, Ablyazov diverted at least $5.8 million of the Bank’s assets to his sister, Gaukhar Kussainova, now a resident of Fairfax. Kussainova used some of the transfers from Ablyazov to buy luxury residences in the McLean neighborhood of Fairfax County and in nearby Alexandria. Albert and counsel for the Kazakh bank successfully obtained recognition of the English receivership order and the multibillion-dollar judgments against Ablyazov by the Fairfax Circuit Court. Over the course of a seven-day trial, Albert led the Receiver David Standish – an insolvency practitioner and certified fraud examiner in accounting giant KPMG’s London office — through a complex tracing analysis that showed the movement of the illicitly-diverted funds through a maze of companies and bank accounts scattered across the globe, including through Russian, Cypriot and Latvian banks. Ablyazov’s fraudulent scheme entailed the use of at least 1,100 sham companies created by a network of nominees (among them, family members) around the world, including in Cyprus, the Seychelles and the British Virgin Islands. Ablyazov’s diversions are believed to constitute collectively the most complex set of financial frauds ever litigated. 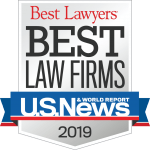 “We are honored to have been part of a case that establishes important precedents that will provide a roadmap for future litigants seeking to reverse financial frauds committed on an international scale,” Albert said. Albert has three decades’ experience litigating complex civil and criminal cases in courts across the country. He is listed in The Best Lawyers in America in eight different categories, including commercial litigation. His past clients have included Muhammad Ali, for whom he recovered the fraudulently-transferred rights to his life story that made possible the production of the feature film Ali.